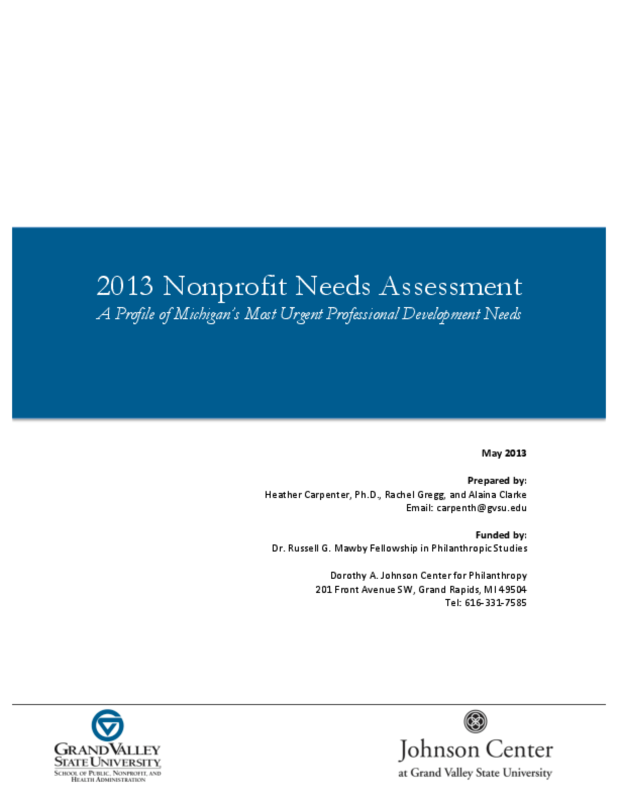 A new study from Grand Valley State University's School of Public, Nonprofit and Health Administration, and the Johnson Center for Philanthropy reveals trends in the kind of professional development programming nonprofit organizations in Michigan need. There are over 48,000 nonprofits operating in the state Michigan, employing over 375,000 nonprofit workers. While many industries are struggling in Michigan,the nonprofit sector continues to grow at a rate of 1.3 percent per year. The demand for nonprofit services is also rising and nonprofit workers must work longer hours and take on additional responsibilities to meet increasing demands. Nonprofit and philanthropic employers are recognizing that in order to reduce employee burnout and turnover as well as maintain positive employee morale, they must provide professional development opportunities to their staff. These opportunities can take place internal or external to the organization. Wherever the professional development takes place, it provides many positive benefits to employees, volunteers and organizations. Copyright 2013 Dorothy A. Johnson Center for Philanthropy, School of Public, Nonprofit and Health Administration.